Alpine Adventure Trails Tours Inc. offers guided and self guided hiking, trekking and climbing trips to Switzerland, Austria, Italy (Dolomites) and Scotland (Isle of Skye) and new for 2019 Ladakh, India. We also offer private group guided trips to all the above locations (no minimum number of guests for private trips). Guided tours have two or three guides and a maximum of 12 guests. 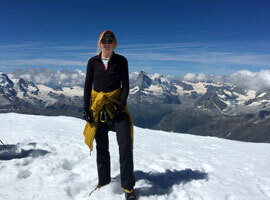 Alpine Adventure Trails Tours owned and operated by Shannon Harris (lead guide since 1998) is committed to providing the ideal active trip for you, one tailored around your individual preferences. Our guide to guest ratio of 1:6 or 1:4 with an owner/guide leading the trip allows us to structure hikes where everyone gets exactly what they want from the trip. The ability to make changes and adjustments during the hike and the ability to sequence hikes around weather conditions are some of our biggest strengths. We always remember after all hiking is the star of the show. Alpine Adventure Trails Tours, Inc. was founded in 1978 leading hiking trips exclusively in Switzerland. Family relationships between the Alpine Adventure Trails Tours family and the families that own and operate the hotels we use go back for generations. We work as a team to make sure you have a fabulous time. This formula of a small group in family run hotels with attentive experienced and fun guides and staff has worked now for 41 years. For twenty-one years I’ve guided small groups of hikers in the Alps on hundreds of trails through alpine meadows and glacier carved valleys and high up where there is almost no vegetation. Through the years there has been one constant with the groups something that must happen for me to consider it a successful trip – our guests have a fun time! I enjoy hiking with those who are just getting into hiking and enjoy doing 15 mile hikes with 4000 feet up and down. I enjoy helping people get to places that takes effort but is amazingly rewarding. I enjoy seeing the friendships made during the trip and the look on faces when they see the views. Each group is unique as is each hiker something that keeps us having fun year after year. I’m also thankful for all the people i’ve met over two decades. Hiking and traveling are what I enjoy and sharing it with others makes it even better! Carrie is an outdoor enthusiast who enjoys hiking, backpacking, mountaineering, rock climbing, and skiing both inbounds and backcountry. She expresses her love for the mountains by: supporting conservation and preservation of natural lands for future generations, volunteering as a leader and/or instructor for organizations such as the Spokane Mountaineers, and engaging in friendships with others who share her enthusiasm. 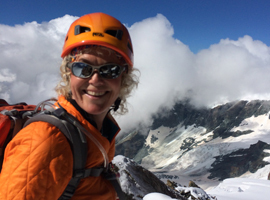 Carrie continually seeks to broaden her outdoor experience and knowledge base for the safety of her students, peers, hiking guests and friends. She is Wilderness First Aid-certified and has graduated from the Spokane Mountaineers backpacking, mountaineering, lead climbing, and high angle rescue courses. 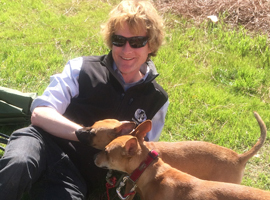 John has been a hiking enthusiast since his teenage years in the Boy Scouts. 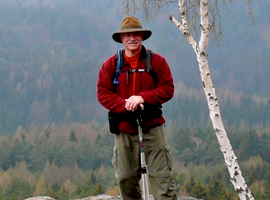 In addition to guiding for Alpine Adventures Trails Tours, he has been a volunteer guide for the Howard County Department of Recreation and Parks in Maryland since 1996 and a volunteer guide for the Mountain Club of Maryland since 2010. When not guiding, John vacations by hiking the less known areas of Europe, especially the Germanic regions. 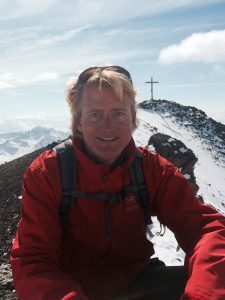 He has explored Germany’s Sächsishe Schweiz, Odenwald, Pfälzerwald, Bayerischerwald, Schwarzwald, Saarland and Moseltal; Austria’s Weissensee, Stubaital, and Zillertal, Elsass’s Vogesen Mountains; Luxemburg’s Klein Zwitserland; and Belgium’s Ardennes. And has fun and incredible memories and stories from all. He is simply a delight to talk to about hiking and traveling in Europe. He has accumulated an incredible wealth of knowledge about the history of all the places visited. 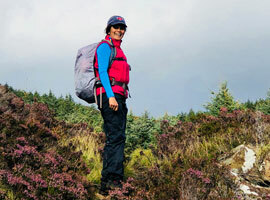 An Indian by birth, I have spent a good part of my life walking various mountain ranges across the globe. I’ve been fortunate to hike and climb in most part of the Great Himalayas including Garhwal, Kumaon, Himachal, Ladakh & Kashmir ranges, in Nepal, Africa, the Alps and the Highlands of Scotland. My journeys since, have brought me in touch with some of the most giving, intelligent, and hearty people in some stark and awe-inspiring landscapes. From them I learned many valuable lessons, foremost being the ability to embrace whatever the moment presents, with a smile! My exposure to hiking began during my early teens through several years of great family hiking vacations with Alpine Adventures Trails Tours. Over these years, hiking and mountain climbing have surpassed my other passions such as surfing, snowboarding, and playing competitive soccer. It is a privilege to be part of Alpine Adventures Trails Tours family in which my work is to support and protect our guests and fellow hikers as they experience the wonders of hiking amidst spectacular sceneries and as they experience the indescribable sensations of freedom and belonging to nature that such adventures afford them. Hiking has had a positive impact on my life and I strive to share that effect with others by helping to make their hiking vacation a most memorable and rewarding experience. In addition to my goal of continuing to learn and excel in hiking and mountain climbing, I am currently studying towards my bachelor’s degree in Biology at Florida Atlantic University with the intent to pursue a profession within the medical field. My foremost passion yet remains hiking the trails and climbing the mountains of our beautiful world.